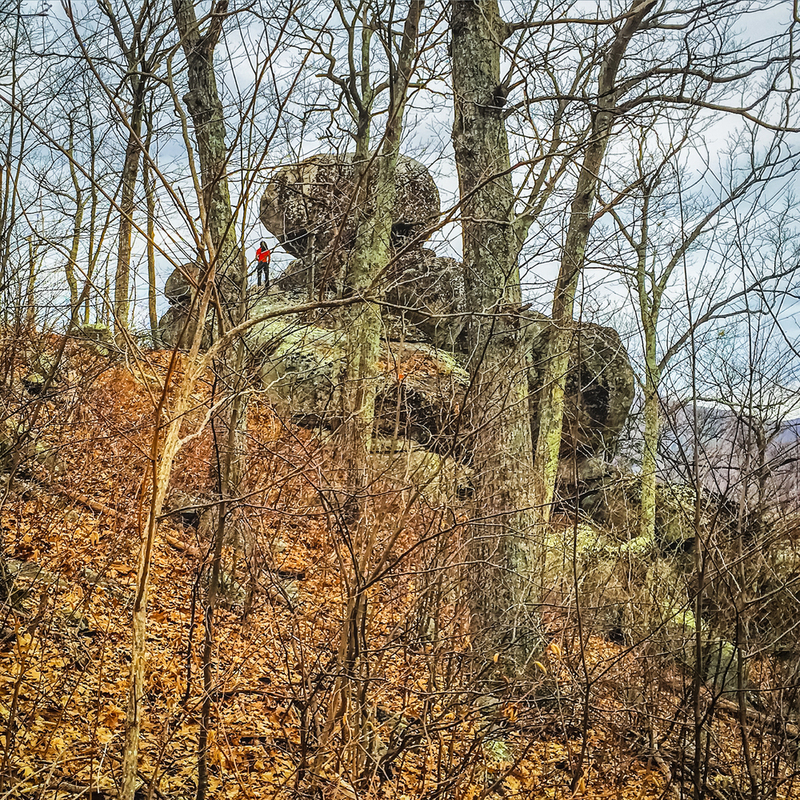 Last weekend we kicked off our 2016 camping season, and for the debut we chose Old Rag: one of the most charming mountains in the Shenandoah National Park. Old Rag has a good combination of nice camping area, demanding but not tiring hike, and unforgiving panoramic views. Winter is still around but it's surprisingly warm, so we couldn't wait to grab our backpacks and hit the mountains again! We arrived on a cloudy Saturday at the Berry Hollow parking area, and checked out the surroundings for a place to camp. Last time we were in the area we saw a couple of families preparing to camp close by, and we wondered if we could find a good camp spot. We ended up finding a really nice place very close to the parking lot, hidden from the hikers, close to a creek and flat. We took our time to unpack, set the camping, try some knots we had been learning that week, and even drink a warm tea before leaving to hike. 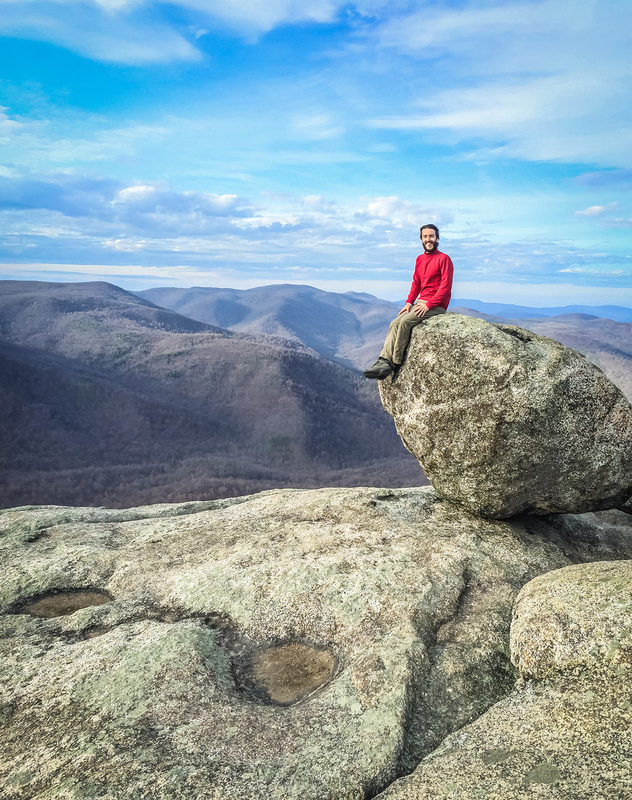 It always feels that one is truly climbing up a mountain, and it’s actually true: Old Rag is formed by a hard and resistant granite, and it's surrounded by different rock types - which are less resistant - so the mountain stands high alone. A topographic landform called monadnock. Our mood was to take the day easy, so we left for a walk in the Berry Hollow Fire Road with no particular place to get to. 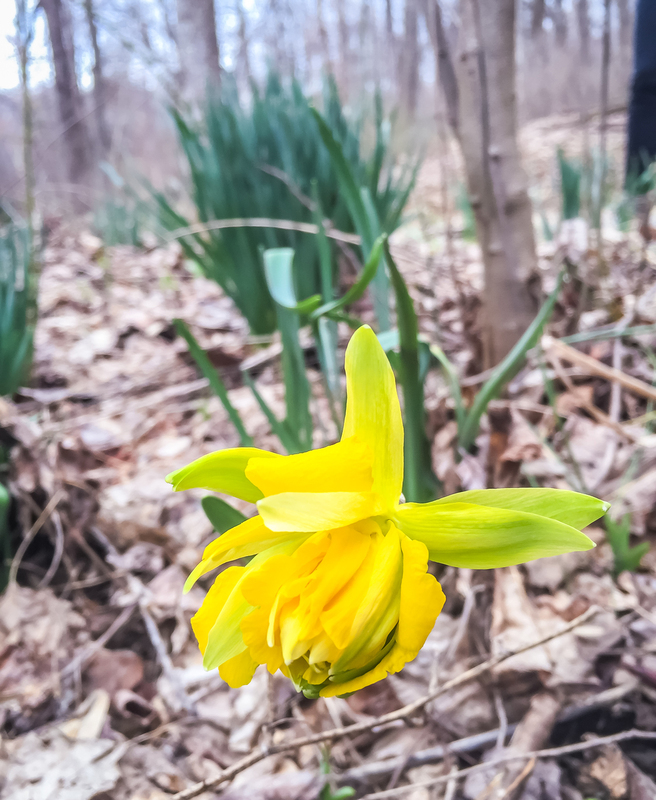 The leaves were starting to spring and some places had yellow narcissus flowers coming up. The fire road eventually leads to the Saddle trail, and we decided to hike it to reach the Balance Rock for some rock scramble and great views. The cold started to annoy and we moved on. To tell the truth we were not expecting much from the hike. It was cold, windy and really cloudy. But when we got to the summit, it was spectacular! The sun showed up between the clouds creating a magical atmosphere of traversing light illuminating the Blue Ridge mountains of Shenandoah and the rounded boulders formations on Old Rag summit. Marvelous… it was so beautiful that even with the cold we did our picnic there. After the spectacle we packed and hiked back down. 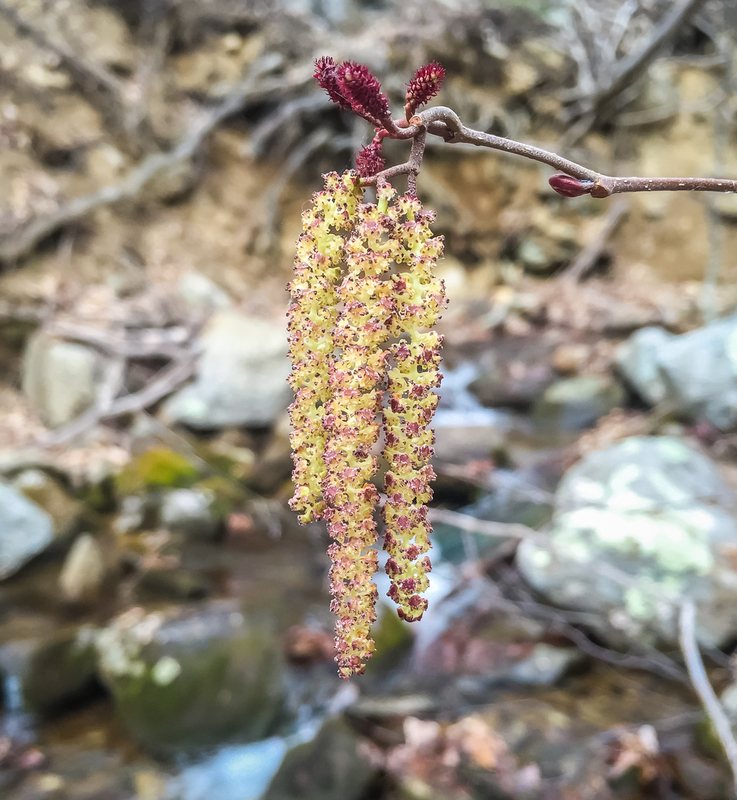 On our way to our campsite, we found three small deers, interesting lichens, white mushroom communities, and the first red maple tree blossoms, which created a reddish - purple color that reigned in the forest. Nature is wonderful! Once in the campsite, she decided to lay down on the tent to rest while seeing this beautiful pattern of tree branches during winter, while he went collecting wood for the night fire. We lighted up the fire and started cooking and preparing tea to warm us up. Night fell and we went to bed, so relaxing hearing the water running. Sunday we fooled ourselves along the creek and decided to come back early – it was supposed to start to rain soon. Before living he yet got into the cold waters of the Robinson river. We still had energy to visit the Air and Space museum on our way back to Washington DC - and journey into the space with Space Shuttle Discovery.